Did you ever feel you were the last person on to something cool? That's how I feel about MDS (My Digital Studio). I purchased it on the last day of the Online Extravaganza, talk about procrastination, and now I love it! Here is my first project using an existing template from the MDS2+. The download seems to take forever as you sit in anticipation. (Not very long considering all the great things I had access to, it just felt that way.) MDS2 automatically pulls photos from your computer so it makes it really easy to get started. I have disclosed that this was my first project I created and it appears I made an oops, do you see it? 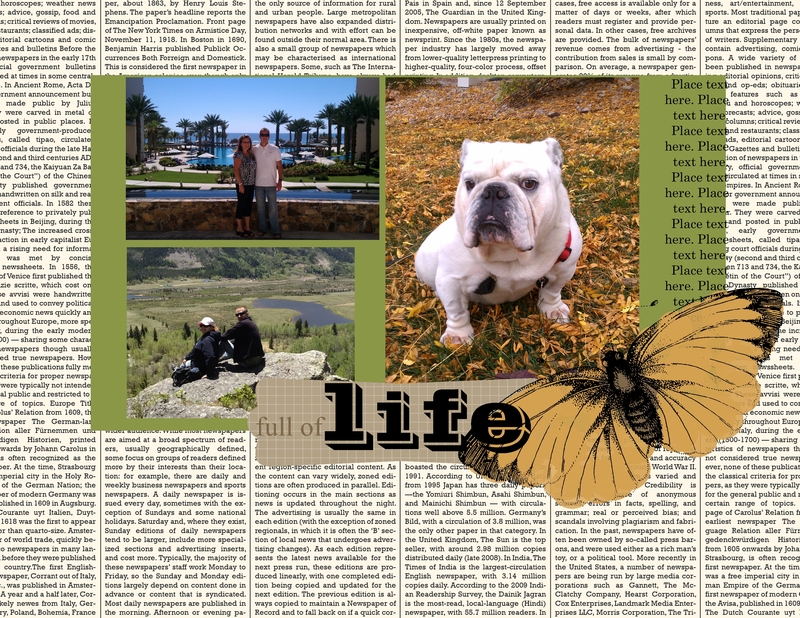 This entry was posted in MDS Monday and tagged black friday, digital scrapbooking, MDS, My digital studio, online extravaganza, stampin' up! on December 3, 2012 by katzcreates.